Gluten-free foods have grown in prominence in the recent few years boasting of a formidable consumer base in a number of developed and developing countries. The swelling consumer base is supported by the burgeoning population in these regions preferring gluten-free food items. This is largely attributed to a rapidly growing number of people of gluten sensitivity in various parts of the world and the widening prevalence and incidence of celiac disease. To add to this, the rapidly increasing population with non-coeliac gluten sensitivity is a notable factor bolstering the uptake. The rising incidence of celiac diseases has stimulated the demand for healthy alternatives to gluten and the consumption of gluten-free foods has been found to be reliable way for controlling symptoms. Furthermore, the rising population with digestive disorders, coupled with the rising cases of obesity, is a notable factor stoking the demand for gluten-free food alternatives. The lack of awareness and the paucity of purchasing power among rural populations are notable factors likely to hinder the growth of the market to an extent. The constant influx of a range of gluten-free food products is a prominent trend boosting the market. Several players are experimenting with different product positioning of common items, notably baby food and ready-to-eat meals to attract more customers. A number of food companies are expanding their production capabilities of gluten-free foods and exploring new geographic areas, in a move to consolidate their market shares. The high rate of investment on the production of gluten free food is a compelling proposition accentuating the growth of the market. In several of the developed markets, notably in the U.S., food producers are increasingly adopting true and accurate labelling of packaged food products, which bodes well for the overall market. The vast improvements in diagnostic services is also positively to the growth. The rise in the number of consumers opting for a healthier lifestyle and improved dietary choices has significantly contributed toward increasing uptake of gluten free food items. Making daily diet free of gluten has several benefits such as regularized cholesterol levels, better energy levels, and improved digestive health. Thus, several consumers are opting for gluten free food items to avoid unnecessary weight gain and subsequent consequences. Introduction of a wide range of gluten free food items in the market is yet another reason for the booming global market. Effective product positioning of items such as pasta, baby food, baked goods, and ready meals have garnered a significantly big consumer base. Several food companies are also experimenting with the production of making gluten free food products, which is projected to have a positive reflection on the global market. Top players in the market are investing in expanding their businesses to earn higher revenues. For instance, Nestle unveiled its production facility for gluten free items. The company has set up its unit in New Zealand and is expected to create new export opportunities for Maggi and Docello. However, the facility is especially designed and built for catering to the augmenting demand for gluten free products in the region. The facility is equipped with international research and development program, which will offer it a fair chance to manufacture topnotch gluten free products. Thus, efforts made by companies to focus on health needs of their consumers are expected to have high return on investment. Geographically, the global gluten free food market is segmented into North America, Latin America, the Middle East and Africa, Europe, and Asia Pacific. Of these regions, North America is expected to lead the global market due to a high awareness among citizens about the disadvantages of consuming gluten on a daily basis. Furthermore, the ubiquitous availability of gluten-free food products is also expected keep the region in the forefront. 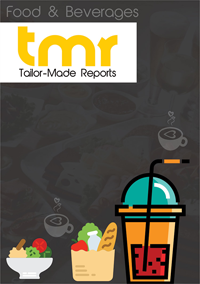 The increasing expenditure on packaged food items, healthier food items, and rising disposable incomes are also contributing toward increasing revenue of North America gluten free food market. The research report also states that the high incidence of celiac disease, improved diagnostics, and better healthcare facility in North America are also likely to encourage consumers to consume gluten free food. In addition, accurate labelling of packaged food items to prevent consumers from accidently eating wrong items has also contributed toward growth of gluten free food market in North America. Some of the key players operating in the global gluten free food market are Mrs Crimble's, Boulder Brands Inc, Dr Schar AG/SpA, Hain Celestial Group Inc., Genius Foods Ltd., and Freedom Foods Group Ltd. amongst others companies.